Are you Traveling to Jordan? If you are planning to travel to Jordan, I have some good news for you. 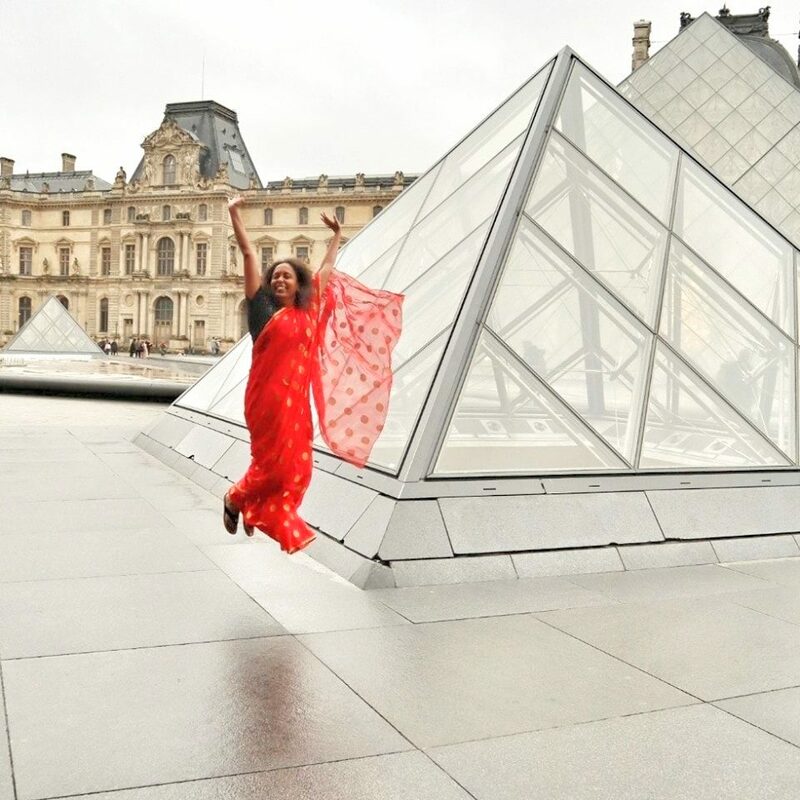 Byond Travel is offering the readers of Travel Tales from India Rs 6000 off if you book your vacation with them through this link. Clicking on the link should show you a window with the picture shown above. You can register with the link to avail the discount. The discount is valid only on the first purchase. Not only that, Byond further lets you personalize your Jordan Itinerary. Once again if you wish to personalize your itinerary and avail a discount, use this link. Since I did a short trip myself (I was invited by Jordan Tourism Board and I have Business Relationship with Byond) I would surely add Petra and Wadi Rum if I were planning a trip again. If you are looking for reasons to go, I will give you five of my experiences. 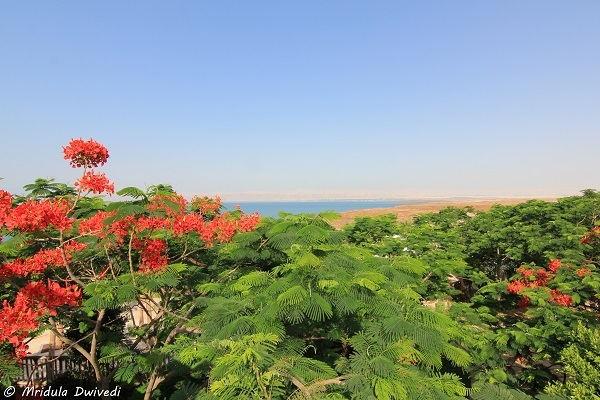 Jordan is popular with Christians for the biblical sites. 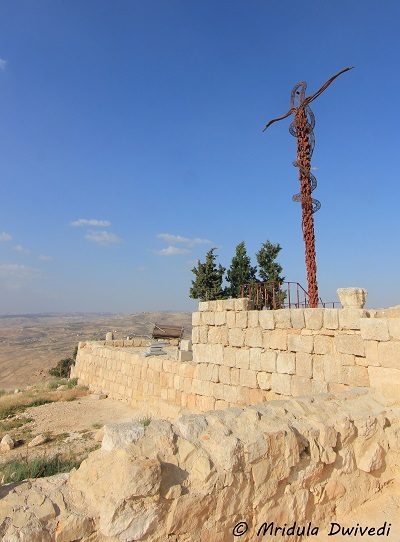 Mt Nebo, Madaba, Bethany Beyond the Jordan, all have deep significance for Christianity. 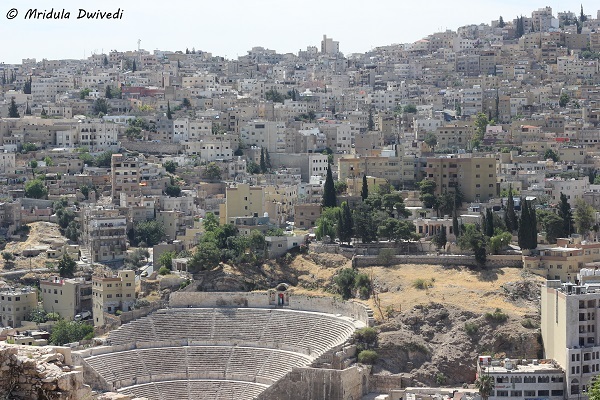 Amman is the capital city. I found it a beautiful mixture of old and new. They have luxury hotels and brand new shopping malls and they have old amphitheaters and shopping district. I was more fascinated by the history and culture. Shopping malls after a while look the same everywhere. When my family knew I was traveling to Jordan they were not so thrilled. I told them if the tourism board thought it safe, it must be safe and I am going. I clearly remember my husband saying, “there are millions of Syrian refugees out there.” And I retorted, “yes and all of them would be sitting in Amman.” My trip went perfectly fine. In fact the mandate of the trip was to cover Pope Francis’s visit the country. In spite of being in Middle East, Jordan is a peaceful nation. A lot of Indians are vegetarians. I am a vegetarian too. Jordan has fabulous vegetarian starters. The people and restaurants are hospitable. They will find something vegetarian for you. 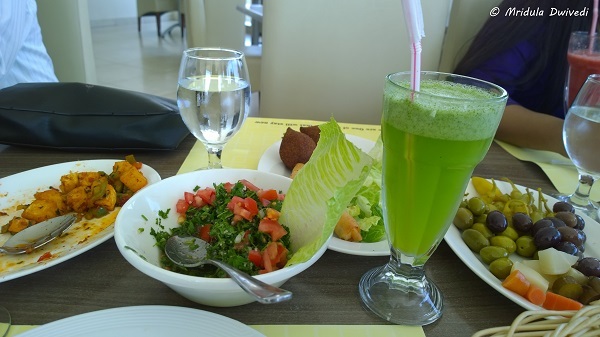 As long as you don’t insist on the Indian food, you would do fine in Jordan. 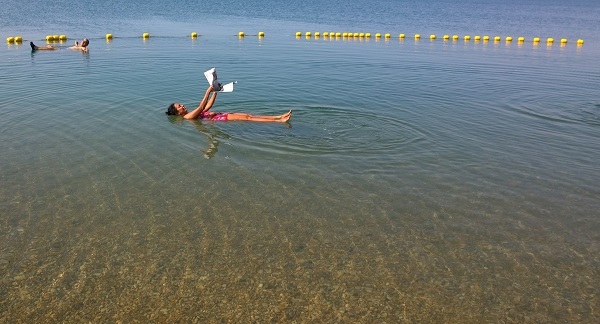 It is an experience of a lifetime to float on the dead sea and read a newspaper! Need I say more? But one has to be very careful to keep the water out of the eyes, it stings like mad!